I am departing this morning on a short trip to de – stress and already I feel better. When an unplanned ear infection (ok, is there any other kind?) meant my son couldn’t fly I was going to cancel this vacation all together. We had planned to attend Airventure in Oshkosh, with the B2Osh group as I have been doing with my Dad for years. Now two and a half, my son has watched the movie ‘Planes’ at least a thousand times and takes the characters from the corresponding Lego set everywhere. I am pretty bummed because he would have been so much more engaged than last year. As I was canceling our tickets I recalled something a great firend told me about how nice it would be to go where nobody “needs” her for just a few days. I look forward to this trip all year, and was sure that I would be less than pleasant company all weekend, so I decided to turn it into a weekend trip sans just about everything. Boy, what a feeling to be able to take everything you need in a backpack! I even contemplated leaving the makeup and contacts (step too far maybe). 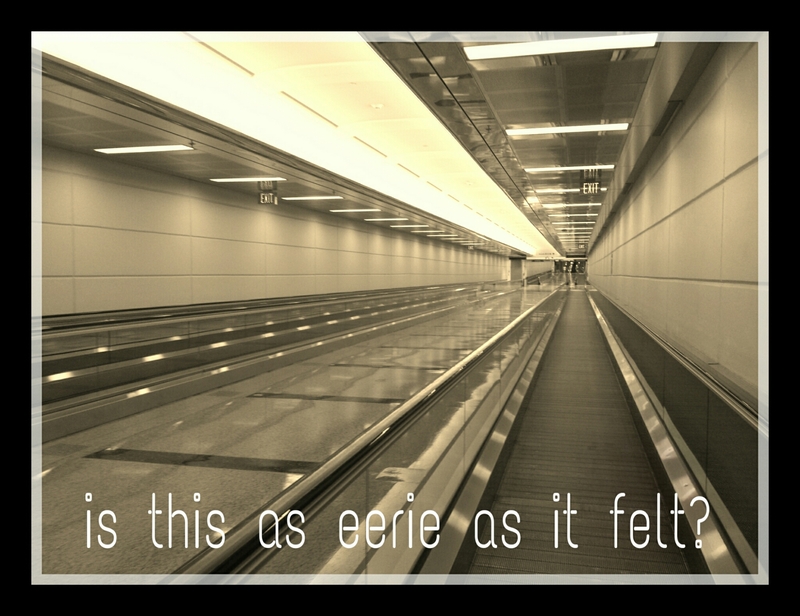 As I walked through the empty airport this morning I felt relief wash over me. Listening to the grumbles of others in the security line I think about how I am so NOT compelled to complain (getting selected to the TSA pre – Check line was a super bonus… not sure how they know who gets to do that but they redirected me to a section with no one waiting and I didn’t have to remove anything from my bag or take off my shoes; hope this doesn’t have anything to do with why my 2 week new laptop seems to have crashed). I love my kiddo and will miss him but I know I will be a better mom when I get home if I can just take a real break. Anyone who judges me for that, well, the clean version of my response is “forget you”.